Museums are wondrous places where exhibited objects can create new connections to the world. Explore “Rosemarie Trockel: A Cosmos,” and discover a universe shaped by her ideas and interests. In her imaginary museum, Trockel places her own artworks on equal footing with other objects—creating new relationships with the world around her. 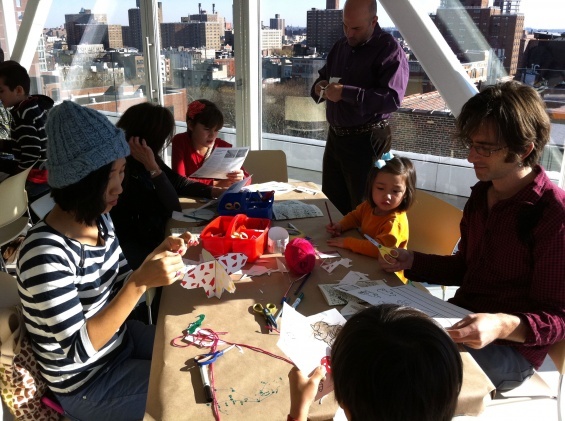 After studying some of the connections between Trockel’s artworks and objects by artists that she considers kindred spirits, create your own “cabinet of wonders” with New Museum educators and share the things that have influenced you in your own life.